Non-emergency medical transportation (NEMT) can be dispatched effectively with the help of management software. It eliminates the cost of providing customer support service by allowing the users to book and pay online. Adhering to a technology will help the business operators eliminate all the barriers to transit dispatching. Especially when it comes to NEMT, it requires more features to make it comfortable for the persons with disabilities. The best way to modernize the booking and fare payment is to adopt a technology (paratransit software) that helps the passengers to book transit by themselves and make payments online. For all NEMT needs, such software can be used to manage fleets, track vehicles in real time, automate scheduling and dispatching, and avail integrated mapping. One of the cost-effective ways is pairing up paratransit passenger and fixed-route transit. Many ride-hailing services are the most reliable, affordable, and dependable and offer flexible options. While interlinking the services, both parties will be benefited, and obviously passengers too. 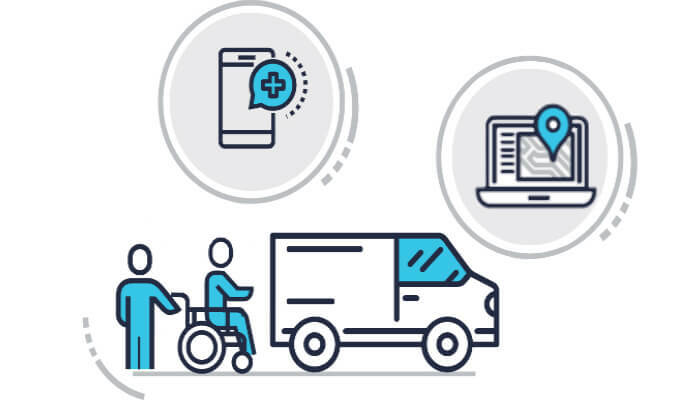 Implementation and optimization of business processes with the help of NEMT dispatch system would be the right choice to provide a hassle-free transit to the disabled persons. The service provider will get benefited and can reduce the operational costs and deliver a service that can be more beneficial and convenient for the passengers. ← What’s in store for the Taxi industry in 2018?